The natural toboggan run leads from the Lenzenalm back to the bus stop Lenzenalm. 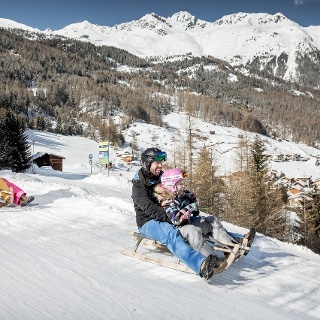 The toboggan run is about 2 km long and ideal for families. At the beginning, the toboggan run is a bit steeper but then becomes flatter from the first bend and leads through the forest directly to the bus stop at the Gurglerstraße. 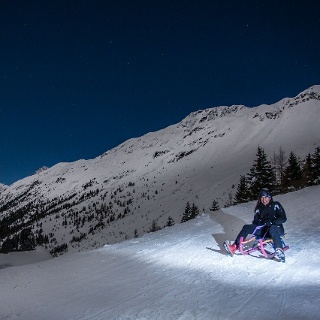 Toboggans can be rented directly at the hut. The preparation and conservation of the way is done by the hutkeeper. 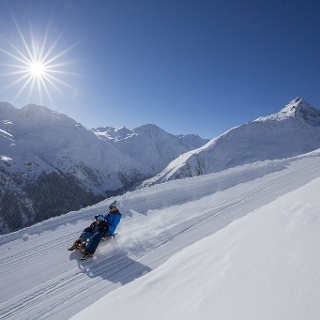 The Lenzenalm is in winter open on WE TH and SU. The toboggan run starts directly at the Lenzenalm and leads first a bit steeper and then rather flat to the bus stop Lenzenalm. 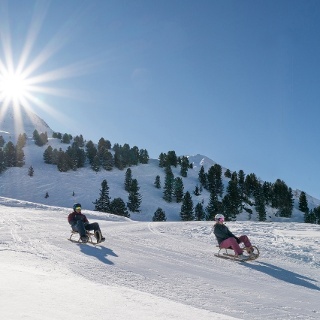 As you can see on the map, there are not many curves at this toboggan run and so it is also easy for kids to toboggan. The parking during the day is free of charge.